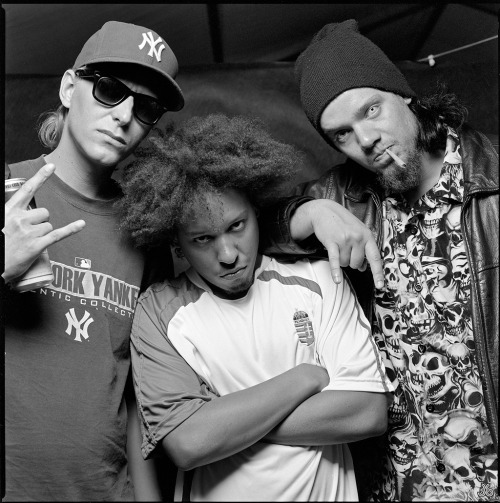 With almost 10 million views on their debut single ‘What Happened’ and a debut album released worldwide featuring the Legend himself Sean Price, the band toured Europe with Limb Bizkit and the U.S.A. with KorN. Their new release Rocket is surely on its way to break some records as well. Never have I seen the Rock/Rap combination done with such precision. For a genre of HipHop I don't favor as much, this group really caught my attention with their flare and lyrical skills. The visuals below are a must see, if you've never experience this kind of HipHop before you are definitely in for a treat. Dope D.O.D. has sold out multiple venues as headliner throughout the EU, followed by a tour of major festivals in Europe as Eurockeennes, Printemps de Bourges, Jardin du Michel, Vieilles Charrues and Rock en Seine in France.